It’s been tough for Aaron Rodgers to watch the last six games from the sideline with a broken left collarbone. While everyone was waiting for the puff of white smoke to magically come out of 1265 Lombardi Ave., Mike McCarthy remained tight-lipped about his prized and shelved quarterback. At last week’s press conference McCarthy was clearly irritated when asked if Aaron Rodgers was being held out due to a medical decision. That’s clearly a warranted question but McCarthy said he didn’t want to play word games and continued to amble through his midweek oratory. On Wednesday, McCarthy told the media for the sixth straight week that the team’s best chance of advancing deep into the playoffs was limited or didn’t play in practice. The Packers didn’t use Rodgers at Dallas because it was an “organizational” decision to keep him on the sideline. 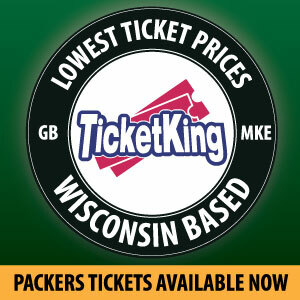 Does it mean that Ted Thompson and McCarthy are saving the best NFL quarterback for a run at the title in 2014? Does it mean that either of those guys couldn’t stomach an offseason that has Rodgers on the disabled list? By now, we all know the shoulder injury rhetoric. We know that collarbones heal in an odd way and need some good old-fashioned R & R to get back to proper working health. According to the website OrthoInfo , a broken collarbone can take up to three months to heal. And it could take longer pending an infection, bleeding or pain. Rodgers did mention feeling pain when he threw in practice earlier this month. The reason why there are so many questions is because nobody has been given any answers. And that’s not a slight to McCarthy, because Bill Belichick dances around the NFL’s injury report the same way. When the Patriots went to the Super Bowl in 2007 and nearly went wire-to-wire unbeaten, Belichick kept Tom Brady on the injury report the entire season. Rodgers has said that he was upset that he didn’t play at Dallas – implying that he can play but was hamstrung by a higher power. The Packers are starting to play the best football since a four-game winning streak in October. The defense still hemorrhages big yards but the unit is finally tallying turnovers, which are valued as much as gold in today’s NFL. What everybody has been missing the last few weeks is whose decision it actually is. Rodgers is a pretty intelligent guy. This is his ninth year in the league and sixth year starting. He just turned 30 Dec. 2 and has the offensive intelligence of a second coach when he’s on the field. 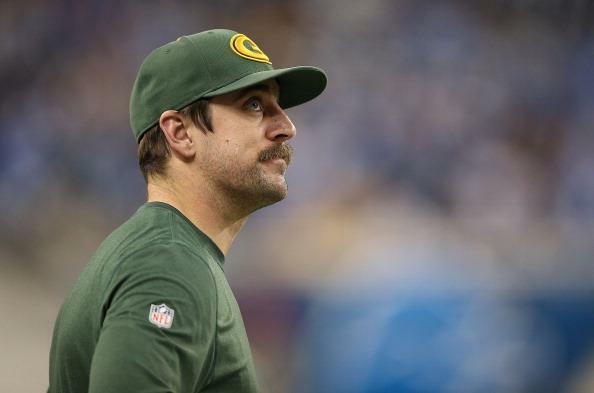 Rodgers should be given the latitude to make the decision whether he’s ready or not. If anyone is going to know if he’s ready, it’s Rodgers. He’s the one that demands perfection from his blockers, receivers and running backs. He wouldn’t trot out on the field if he couldn’t perfectly execute every given play. Bu the moment that he can and is able to play, that door quickly closes for fear of the organization losing its $130.75 million man for even longer. But by now, NFL players know the risks. They understand that playing in the NFL isn’t the best way to get a good life insurance premium. Injuries are a part of the game and shouldn’t be used as a crutch to shield players from themselves, because frankly, Rodgers could slip and fall on a patch of ice right outside of Lambeau Field just as easily as he could be sacked, re-injuring his collarbone. The protection from Thompson and McCarthy deserves praise. They are acting like a dad looking out for the best interests of his family. But at some point, you have to let the kid make a tough decision and live with it. Is there a risk? Sure. But then again, it’s not guaranteed that the Packers will compete in 2014 either. This entry was posted in Uncategorized and tagged 2013-2014, Bill Belichick, collarbone, injury. Bookmark the permalink. What happens when he decides to not play based on discussions with the doc? You know, like Woodson did.